When we consider the apparition of Knock as it relates to the other major apparitions of Our Lady – La Sallette, Lourdes and Fatima – it is interesting to note that all three had secrets. Let me remind the reader of them, and see what was and has been the position of the Hierarchy on these apparitions and their secret messages. 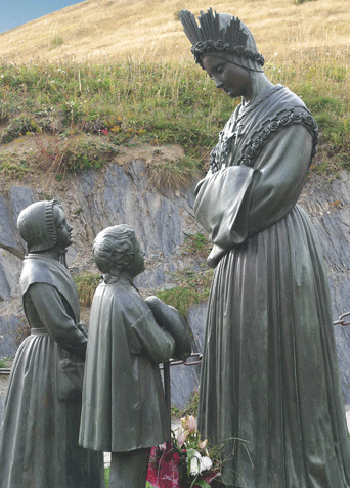 A number of the clergy fought against divulging the secret messages of La Salette to the public. This number grew so much that by 1915, under the pontificate of Benedict XV, orders were given from the highest ranks of the Vatican not to discuss publicly the secret messages of La Salette. So, a type of gag order was placed over La Salette about a half-century after the secrets had been made public. Lourdes – 1858. In the 18 apparitions at Lourdes, Bernadette said that Our Lady told secrets that were for her ears only. As far as I could verify, Bernadette never told these secrets to anyone and she avoided any discussion, even being quite short with anyone who attempted to make her reveal the secrets. 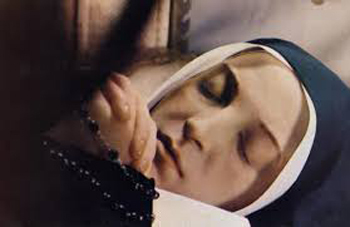 There was a prayer that she received from Our Lady that only she knew and prayed every day of her life. What we know is there was something terrible that she knew that caused her to turn to the crowd weeping, saying the word, “Penance!” There were, “three wonderful secrets” and some others. All of these were known only to Bernadette and everything seems to indicate that she took them to her grave in 1879. Knock – 1879. In October, two months after the Knock Apparition, the Archbishop of Tuam set up a Commission of three priests, assisted by six other priests, to hold an inquiry concerning that apparition. The official records of this Inquiry were turned over to the Archbishop and have since “disappeared.” Msgr. Michael Walsh stated in his book written in 1955: “the original documents of this Commission are not extant.” (2). Why are they missing? The possibility exists that the Commission issued a negative opinion and, afterwards, seeing the great popularity of the apparition, the documents registering that opinion were destroyed. In the absence of the records of the official Commission, Mgr. Walsh quotes “reliable contemporary records,” such as the two secular newspapers, the Weekly News and the Tuam News. So, the official records of the Knock Inquiry that were in the sole possession of the Hierarchy have gone missing. Fatima – 1917. Similar to the La Salette apparition, the Third Secret of Fatima had a deadline for its revelation: 1960. Sister Lucia wrote the secret down and placed it in a sealed envelope that was sent to the Holy Father, who eventually read it. But we know that it was not revealed or published. The Third Secret of Fatima remained a secret by orders of all the recent Popes and highest officials of the Vatican. 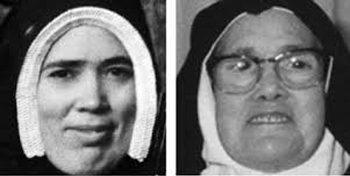 It even appears that Paul VI and John Paul II presented a false Sister Lucia, whose features were different and whose worldly demeanor spoke contrary to the grave message of Fatima. Decades after the 1960 deadline, Pope Benedict and the Hierarchy attempted to foist a bogus Third Secret on the public. In 2000 it was released, but it was ill received. Indeed, people are wondering why that message about “the bishop in white” would need to be a secret. Also, Our Lady said that she wanted "the Pope, in union with all the bishops, to consecrate Russia to her Immaculate Heart.” But this also was not done. Through the recent decades popes have made “consecrations of the world” and all sorts of “entrustments.” None of these acts follow Our Lady’s precise instructions. So far, in this series on Knock we have shown four truths that are common to the four apparitions of La Salette, Lourdes, Knock, Fatima. Three of them contained secrets and Knock held secrets in its silenced symbolism. Over the course of the four apparitions there is a meteorological process: the weather changed from a spring day in La Salette to a threatening atmosphere in Lourdes, a downpour rain in Knock, culminating in a spectacular cosmic event in Fatima. But, there is another type of affinity between the La Salette and Fatima apparitions: Opposition to their secret messages has grown within the Papacy and Catholic Hierarchy. The Popes and Hierarchy from Pius XI to this day have placed a gag order on La Salette, have hidden the Third Secret of Fatima and have not consecrated Russia to the Immaculate Heart of Mary. Regarding the Knock apparition, they most probably have “lost” the original report of the Knock Commission. But, they are responsible for acts that are far worse, as I shall analyze in my next article. I shall show that the post-Vatican II religious authorities are hiding, deviating and even defiling the silent message of Our Lady at the Knock Shrine. I am living at Knock; I was staying at my grandmothers. I followed my aunt and uncle to the chapel. I, then, saw the likeness of the Blessed Virgin and that of St. Joseph and St. John, as I learned from those that were about where I was. I saw them fully 20 minutes or 30 minutes. John S. Kennedy, Light on the Mountain; The Story of La Salette, Doubleday Image Book, 1962, pp. 128-131.